Sheriff’s Homicide Detectives have arrested twenty-one year-old Marquise Vincent Smith for a shooting death that occurred last September in south Sacramento. 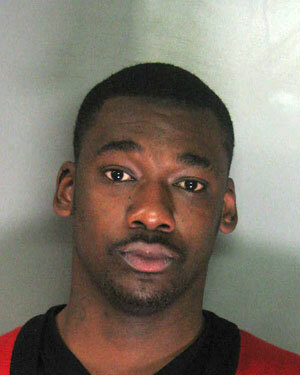 Smith was booked for murder earlier today at the Sacramento County Main Jail, where he was already in custody on other unrelated charges. In the early morning hours of September 4, 2010, Sheriff’s deputies responded to the Fast Trip service station at Florin Road and Power Inn Road, regarding a shooting that had occurred. It was determined that a large group of people had congregated outside of the business. While seated in a vehicle in the parking lot, twenty-six year-old Danielle Benefield was struck by gunfire from an unknown male, and died at the scene. Detectives determined that although dozens of witnesses were present at the time, there was virtually no information forthcoming that was helpful in identifying the suspect. Recently, however, Homicide Detectives received information from the public that ultimately led to the identification of Smith as the person responsible for this incident. Detectives believe that there was no pre-existing relationship between Benefield and Smith and no motive for this crime has been established. The investigation into this incident is ongoing, and anyone with information about the case is encouraged to call the Sheriff’s Homicide Bureau at (916) 874-5115. No Comment to " Suspect Arrested in Homicide at Gas Station last September "